Been this way for months. The Caney Fork is just as bad. 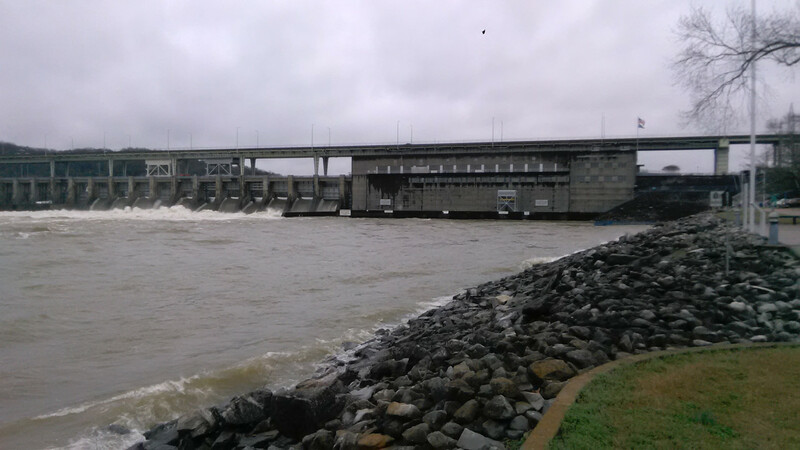 Its at 668 feet above the dam and they're pumping about 24k cfs. They don't start shutting it down to wadeable levels (<1.2kish cfs) until it gets to 630 feet above the dam...it's going take a while to get to that level. Wow is that Chickamauga? That fishing pier up near the dam is normally way above the water if so... Crazy!! !